Patient Zero: We may have had the first successful reversal of aging. The CEO of Bioviva USA Inc, Elizabeth Parrish, claims to be the first human in world history to have successfully reversed the effects of natural aging—thanks to experimental gene therapy provided by her company. Parrish first underwent gene therapy in 2015—one designed to protect against muscle mass depletion that is inherent to aging and another to fight stem cell depletion due to age-related diseases. Originally meant to prove that her company’s gene therapy was safe, the results—should they prove to be effective in the long-term and withstand due scientific scrutiny—would be the very first successful demonstration of telomere lengthening in any human. “Current therapeutics offer only marginal benefits for people suffering from diseases of aging. Additionally, lifestyle modification has limited impact for treating these diseases. Advances in biotechnology is the best solution, and if these results are anywhere near accurate, we’ve made history,” Parrish notes. To that end, even Parrish is clear that more investigation is necessary in order to verify the methods; however, if verified, this work will be revolutionary. 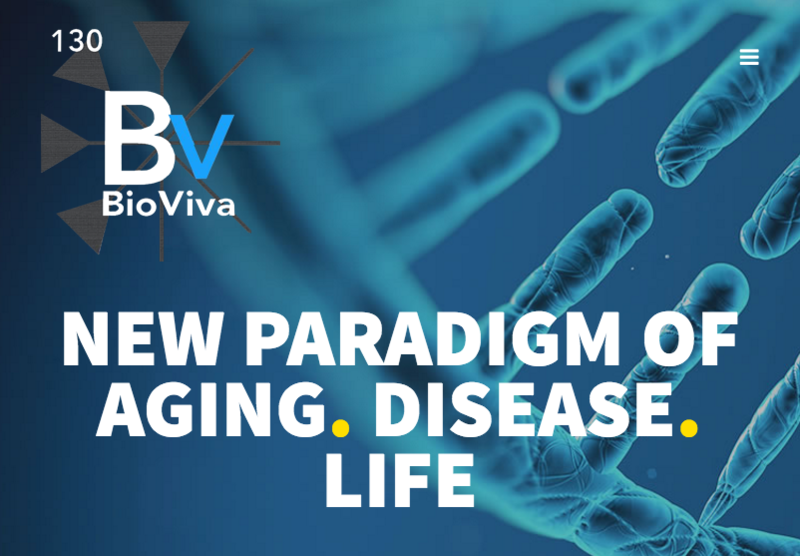 BioViva aims to provide regenerative medicine to the masses through gene and cell therapies. Telomeres are short segments of DNA that are found on the ends of each chromosome. These act as “buffers” for the wear and tear of natural aging. But with sustained cell division, telomeres eventually get too short to protect the chromosome. When this happens, it causes the call to malfunction and leads to aging. The basis for the success of Parrish’s gene therapy is related to the telomere scores—which are calculated based on the telomere length in white blood cells (T-lymphocytes). Higher telomere scores indicate “younger cells.” Compared to average T-lymphocytes of the American population within the same age range, 44 year old Parrish claims that the gene therapies she underwent worked and showed that it reversed 20 years of telomere shortening. As stated, it’s important to note that the results have yet to be verified by an independent source (which is really what science is all about). And Bioviva is still carefully monitoring Parrish’s blood and will continue to do so in the coming months, and even years, to ensure that the success it has seen in leukocytes can translate to the body’s other tissues and organs; or simply if the effects can be safely replicated in other human patients.